This is an extremely delayed post which was supposed to be for Radhika's blog hop Wednesdays. She was so understanding enough to let me me send in my entry a bit late. Thank you Radhika. For the month of June, I was paired with Nayna of simply.food. She has an awesome list of recipes from around the world which Im still exploring. I came across her version of Hakka Noodles which was even published in "Take a Break Magazine" issue 6. Heat oil in a wok and fry the cashewnuts until golden brown. Remove from oil and keep aside. Add the garlic to the hot oil in the wok followed by the vegetables and stir fry for 3-4 mins until slightly brown but still crisp. Add the noodles to the vegetables and stir fry for another 2-3 mins. Add the sauces. 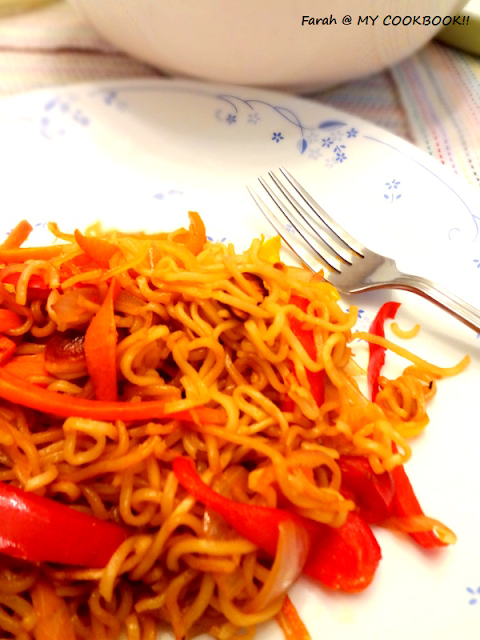 Toss until noodles is well seasoned with the vegetables and the sauces. Transfer to a serving dish and garnish with fried cashew nuts. 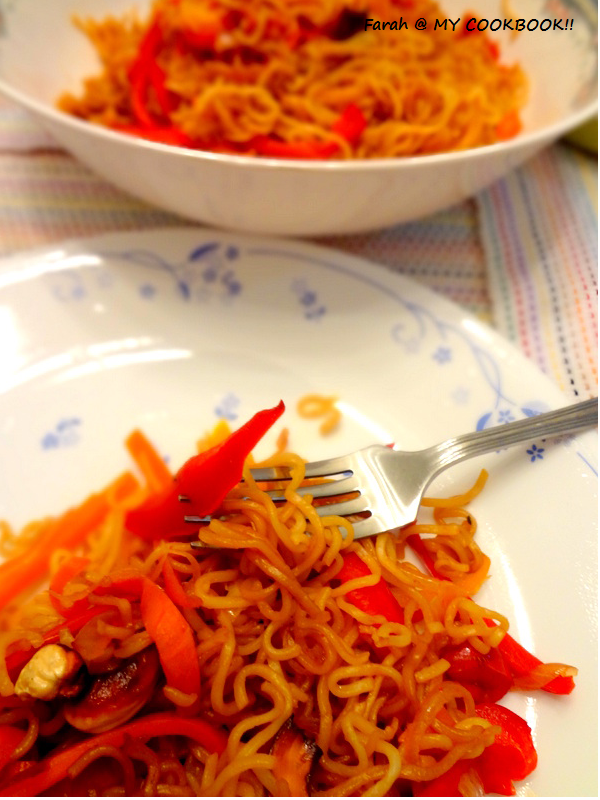 The only changes I made was that I used instant noodles instead of egg noodles because I dint have the latter at home. Well worth the wait Farah. Looks so scrumptious and colorful. Mindblowing dish,wish to have them for my lunch rite now. 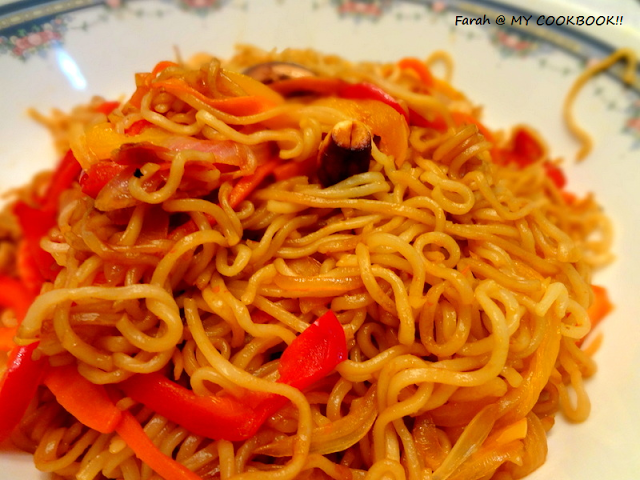 amazing looking and tasty noodles recipe. Many thanks for cooking from simply.food.I am so glad you enjoyed the recipe.